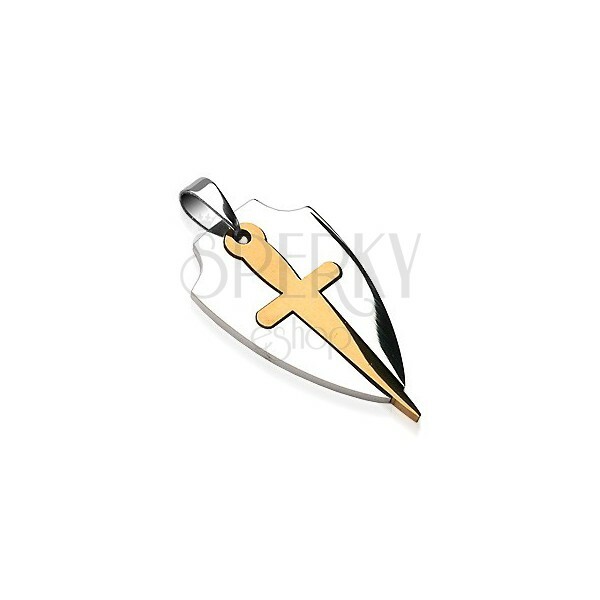 Bicoloured pendant made of 316L steel, shiny surface, protective shield with cutout sword. Steel pendant made in bicoloured design. The shiny protective shield in silver colour is decorated with a cutout, in which a sword is placed in gold hue. The pendant clasp is in elongated shape.